Eating breakfast in the morning doesn’t always seem to happen. I’m sure most of us want to start the day off with breakfast but distractions happen and before you know it’s lunchtime. Thankfully, I’ve never been one to skip breakfast. I just can’t start my day without getting something in my tummy. Most people need coffee in order to be even mildly approachable when they start their day. For me, breakfast is what transforms me from that grumpy morning person to a (somewhat) more friendly person that’s willing to have a conversation with another human being that’s not my 8 month old. But, I rarely ever have time to make anything that requires a lot of time and effort. In my opinion, breakfast should be quick and easy. 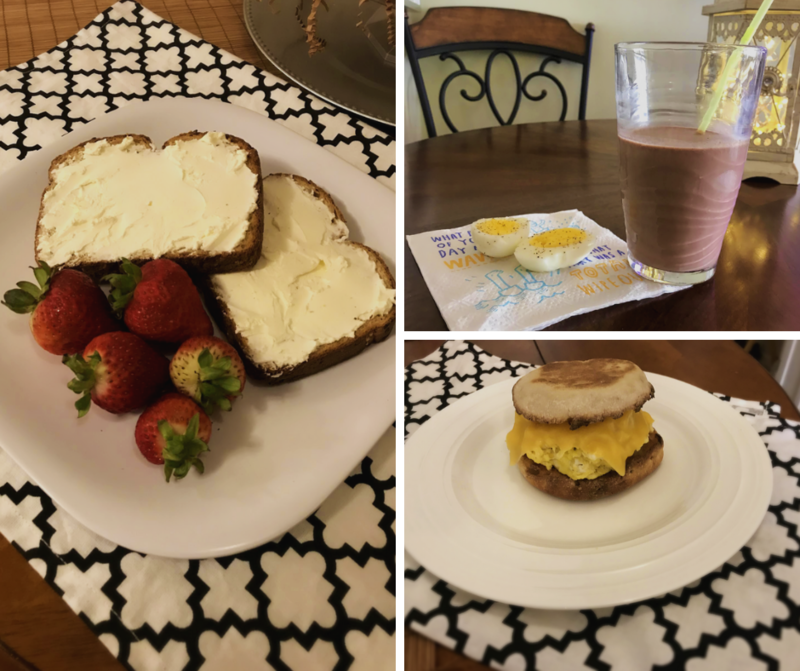 So in this post I thought I would share what are my current go-to breakfast ideas. They are extremely simple and will leave you with minimal dishes to clean up after. And if your not the best cook in town (that’s ok!) then don’t worry because anyone can put these together. If you have a microwave, toaster or toaster oven and know how to boil some water your good! I should also emphasize the word “ideas” when I say breakfast ideas because there’s really no actual recipe to follow here, just a few basic steps. An egg sandwich is probably my number one choice when it comes to breakfast. It’s the best to start off my day. I’ll take this perfect morning sandwich any which way you give it to me. In-between a bagel, a roll, Italian bread, and whole wheat bread (whole wheat is my least favorite, go figure. 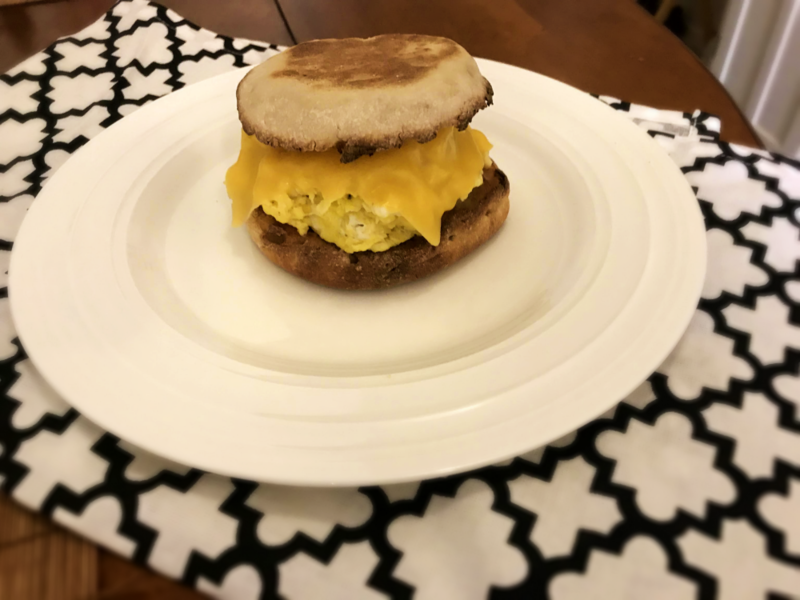 The healthiest option) But lately, the nooks and crannies of a soft English muffin is where my eggs have been hanging out. And I can’t forget the cheese. Who can forget the cheese? A slice of American cheese, shredded cheddar or even a shredded Mexican cheese blend mixed into the eggs while they cook work just fine for me. And lastly, if I’m feeling like I wanna bump up the healthy factor (rarely ever in the morning, but hey it does happen) I add in some chopped spinach. 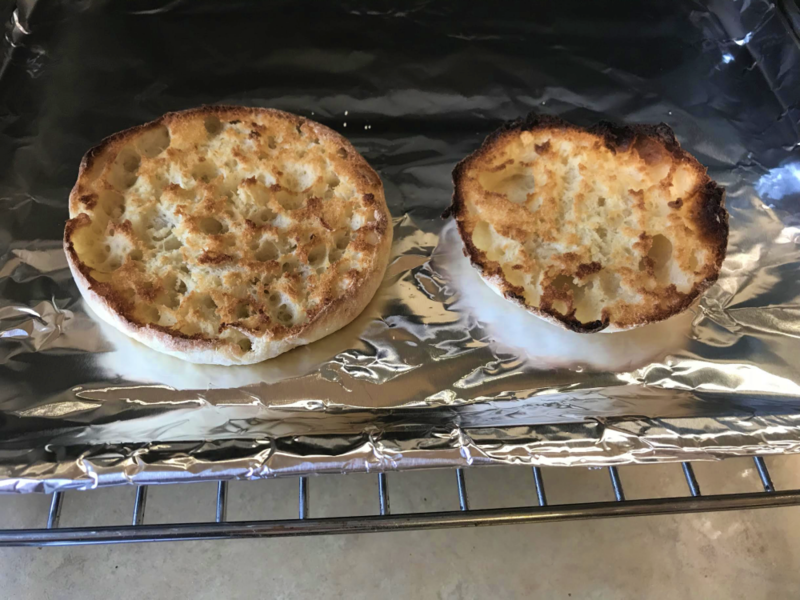 Toast your English muffin (or like I said u can use a bagel, sliced bread, roll or Italian bread) and try not to burn your bread like I did. Gotta love mom life. 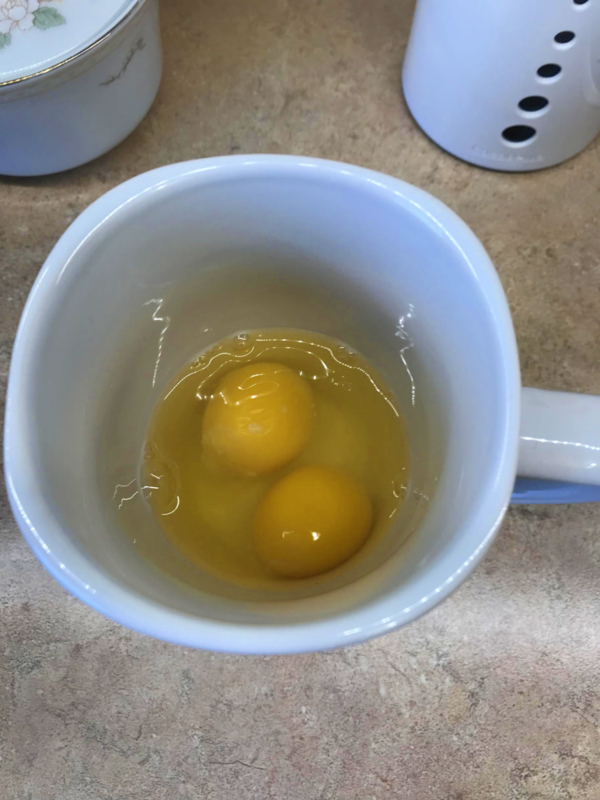 Crack two eggs into a mug. You can also add a dash of hot sauce if you’d like. As you can see in this picture, I did. Sometimes I also add a splash of 2% milk but this is optional. Scramble up those eggs and spices. Pop that mug in the microwave and cook for 45 seconds. 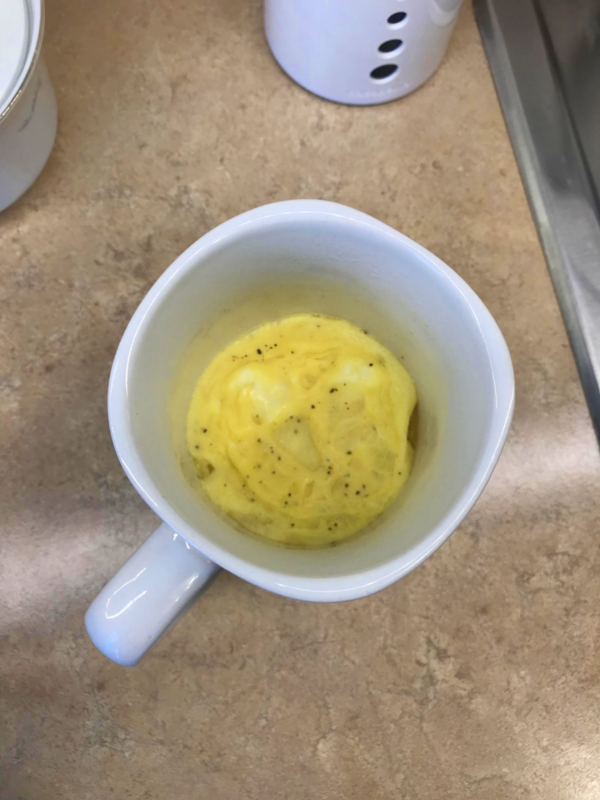 Stir your eggs with a fork then give them another 30 to 45 seconds in the microwave. I usually need 45 seconds the second time around but have tried 30 seconds and it’s worked too. I was using smaller eggs when 30 seconds were enough but I tend to buy extra large eggs normally so 45 seconds is best for me. Now, place your fluffy cooked eggs on your bread of choice and top with a slice of cheese. The heat from the eggs will melt the cheese. If you’d like to add some chopped spinach, toss it into your eggs right before you microwave them the first time. You can also add some chopped ham or shredded cheese. Here’s a tip in case you get some eggshells in your cracked eggs. Use the shell of the egg to scoop out the floating piece of shell. Eggshell attracts eggshell. Works every time! 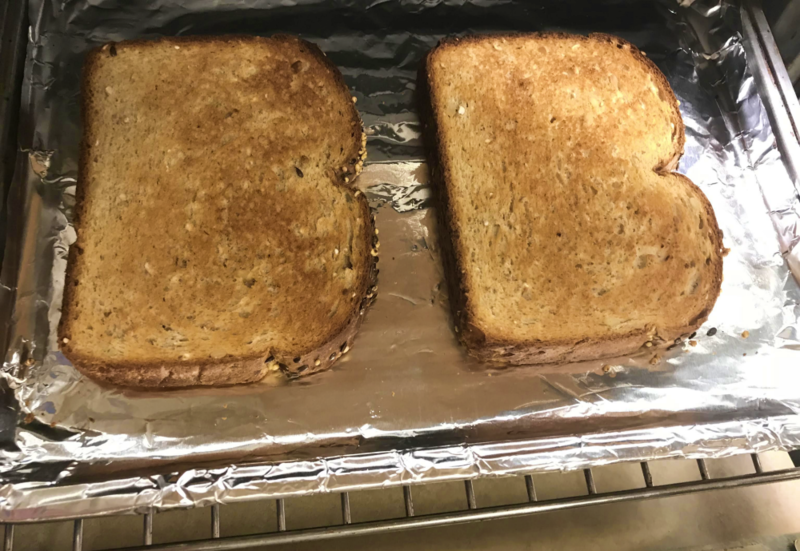 I simply get myself some sliced bread, toast them up, and slather some cream cheese on those bad boys. But I don’t just use any bread. I usually go for a hearty, whole wheat bread packed with grains and all sorts of yummy good for me stuff. You see, I told you I like to be healthy sometimes. But then I top it with loads of cream cheese. Oh well, I try. 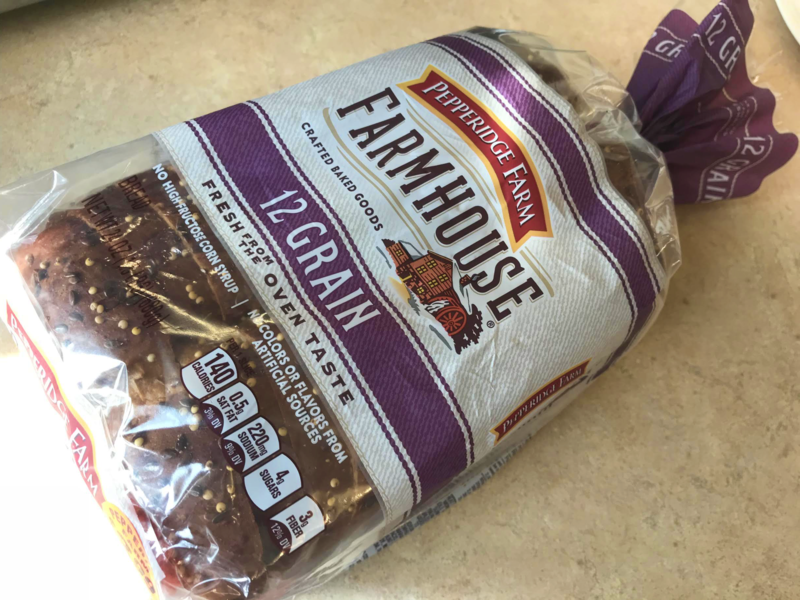 Lately, Pepperidge farm bread has been my favorite. Not just for breakfast but also for a good sandwich. This bread can hold just about any mountain of food I put on it. It also keeps me nice and full for a long time. That’s why you want a hearty bread. It’s a super simple breakfast but that doesn’t mean it can’t be filling. Sure, you can go for the traditional option for cream cheese which is a bagel. But I always have whole wheat bread on hand so this works perfectly for me. 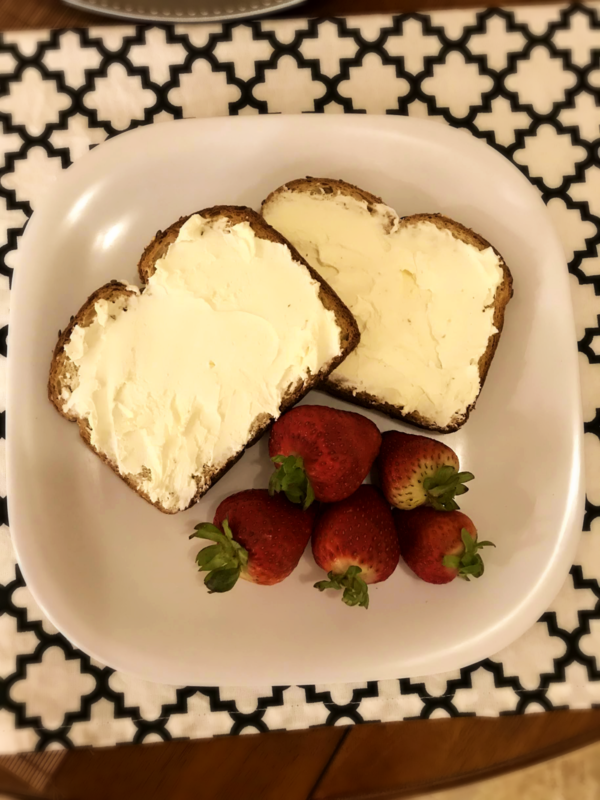 First, place your cream cheese on the counter so it starts softening and is easy to spread. Next, toast your bread. Two slices are enough to fill me up. Mind-blowing, I know. You’re welcome. I did say this was ridiculously easy. Serve yourself some fruit on the side and there you have it, a simple breakfast that’s easy to put together and will keep you full until lunchtime! 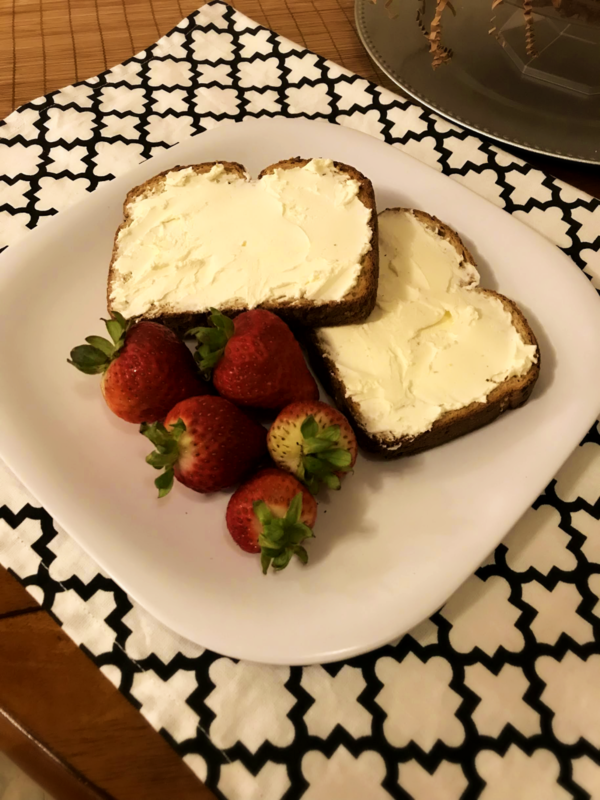 Here are a few tips, you can slice your fruit and put it on top of your toast with cream cheese or if you prefer more savory flavors slice up some cucumbers and place that on your cream cheese toast instead. Honestly, it’s been my go-to on most days since becoming a mom and not having much time in the morning for breakfast. 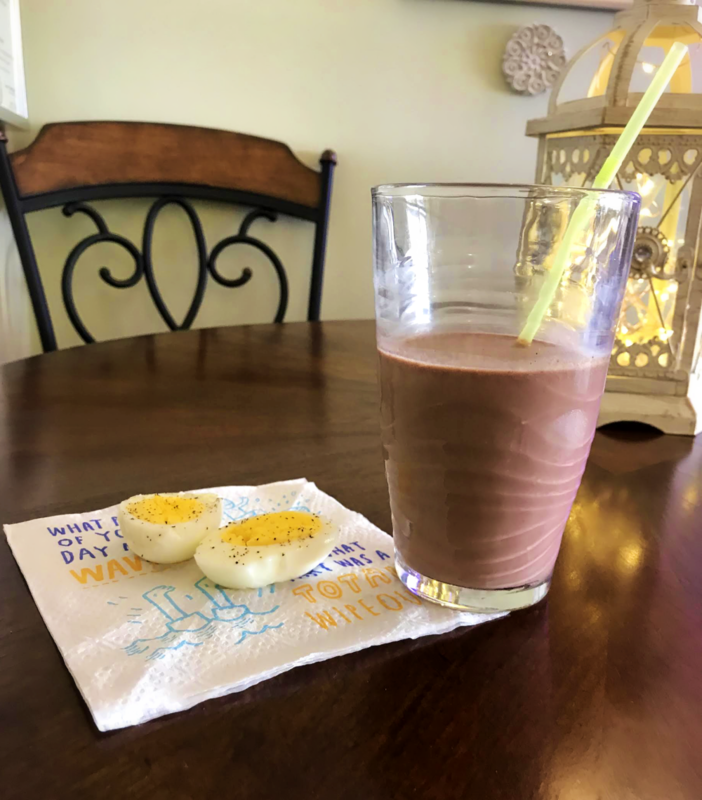 I had never heard of this yummy store-bought breakfast drink up until I had my daughter and started searching online for ways to make time for breakfast while caring for my newborn. 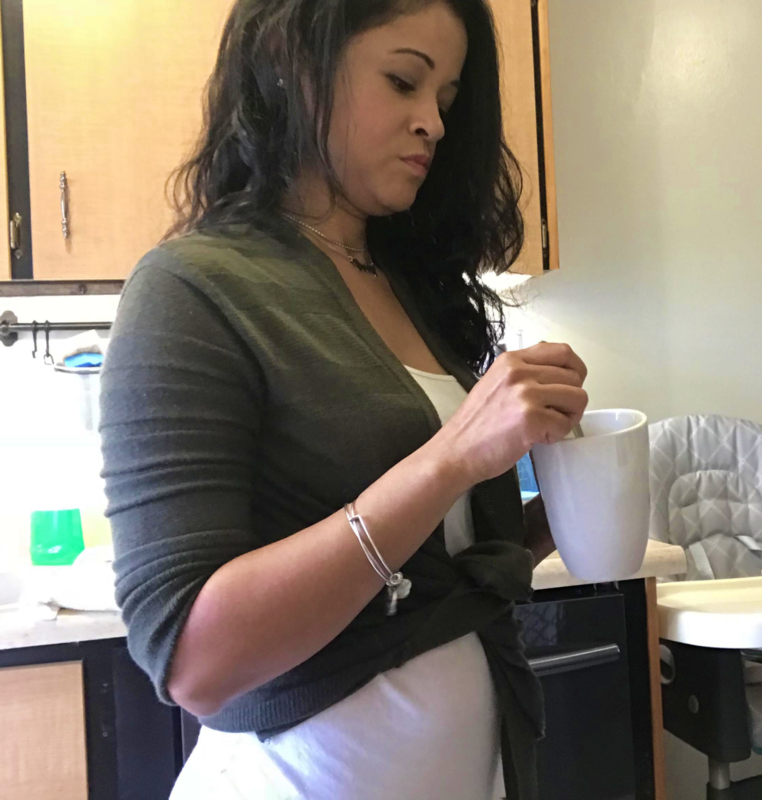 I came across one of those popular mom forums and someone suggested drinking a glass of breakfast carnation while breastfeeding, so I decided to give that a try. 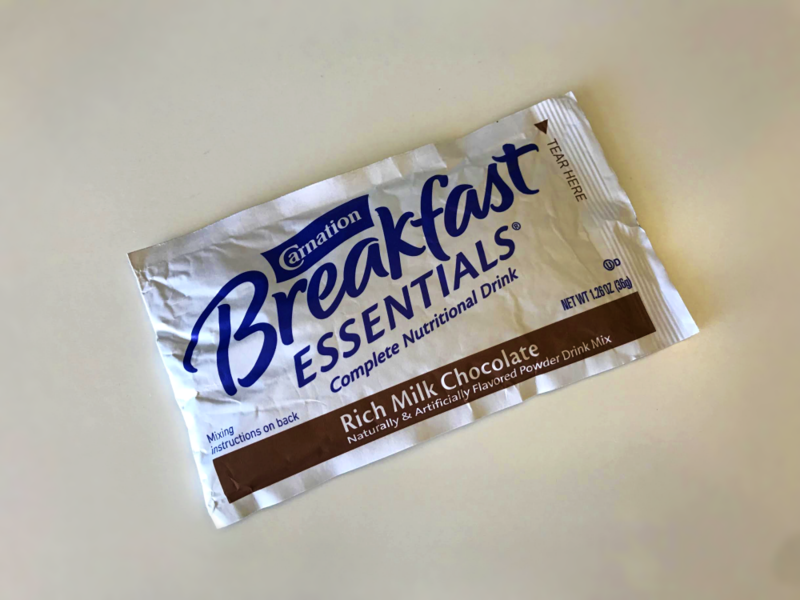 If you’re not familiar with Essential Breakfast Carnation drinks they are a store bought powder that you mix into one cup of cold milk. The packaging states that each drink is packed with protein, vitamins, and minerals. 13g of protein and 21g of vitamins and minerals to be exact. I don’t have a photo of the box (I usually toss it and store the individual powder mixes in a large plastic bag) but here’s a photo of the individual packet. I just went on their website and they also have a high protein as well as no sugar added option. Honestly, I’m always a bit skeptical as for how healthy anything processed can possibly be. But it’s nice to see it on the packaging and at least be hopeful that I really am getting all those good for me stuff. I go for the rich milk chocolate flavor, which is delicious, but there’s also a number of different flavors to pick from such as strawberry and vanilla. As for when I am preparing my drink I should note that I never measure out the milk. I usually just pour out about 3/4 to 1 cup of milk. I also use 2% milk. As for the eggs I usually like to boil them at night that way they are ready for me in the morning. Normally I’ll boil around 3-4 eggs so I have enough for a few days. 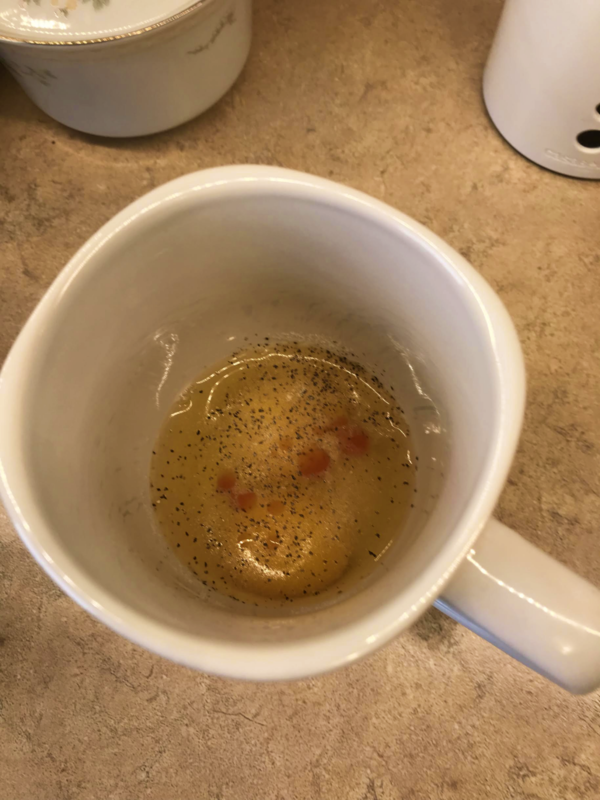 I start by placing the eggs into a small sauce pot with no water. Then I cover the eggs with water. I bring the water to a full boil with a lid on the pot and then I turn off the flame and leave the eggs covered for 12 minutes. After 12 minutes, I run cold water over them for a few minutes. That’s it! Perfect hard boiled eggs every time. Now if only I can give you a good tip on how to get the perfect peeled egg. That’s something I have never had luck with. Running them under cold water seems to help sometimes but I’m a bit impatient and never leave them under the running water for long. One last thing, you can give your eggs a light sprinkle of salt and black pepper when you’re ready to eat them for some extra flavor. So there you have it! 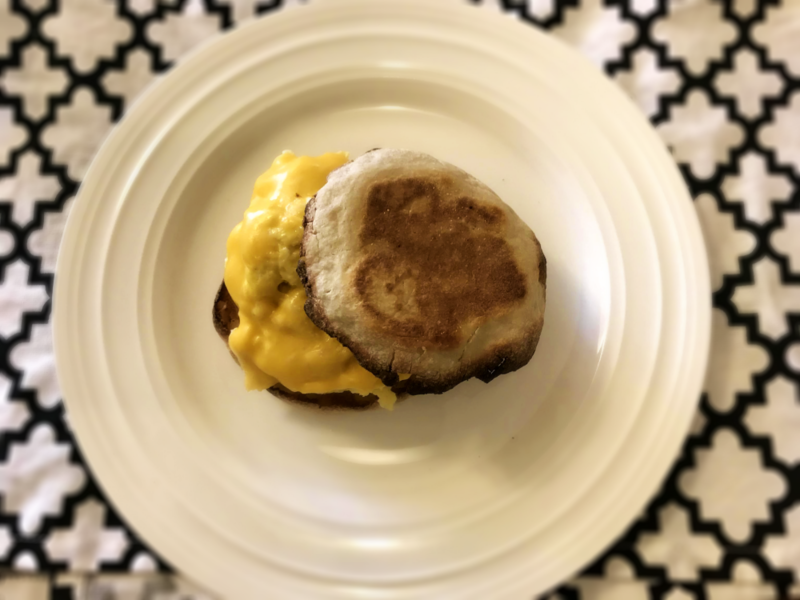 Three quick and easy ideas for a simple breakfast that’s perfect for anyone like me that doesn’t want to spend much time preparing breakfast. Hope you enjoyed these simple ideas!